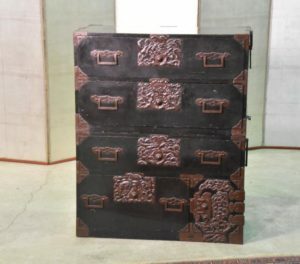 A Sendai region Isho Dansu (Clothing Chest).In great condition with Daikon Lock plates. SKU: 12298. Categories: Chests, Clothing Chests, New Arrivals.